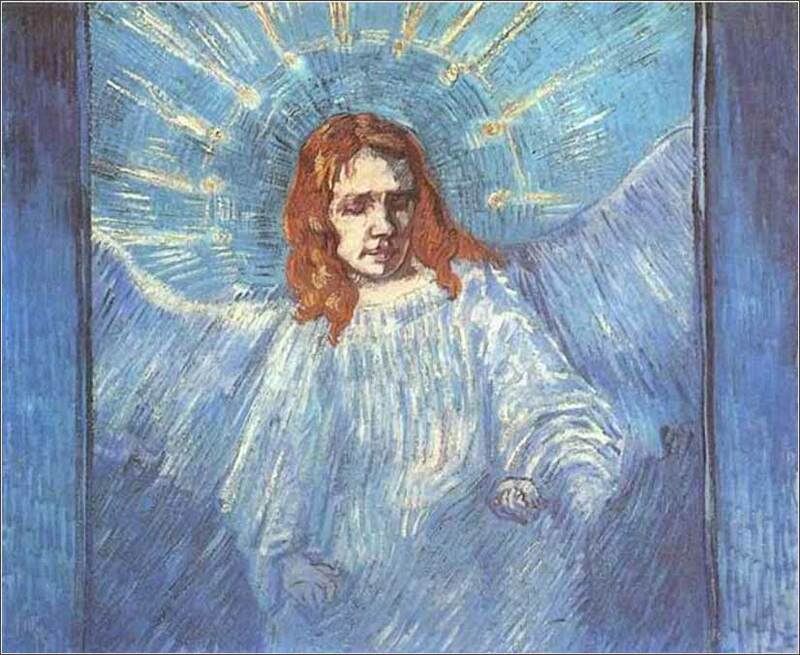 Head of an Angel (after Rembrandt), Vincent van Gogh ca. 1899. 488 people in our community are currently praying with you. Lord, while I pray for peace and goodwill in our world, I ask you to help me to change my own attitude for the better, so that peace and goodwill may start with the way I behave towards those who have hurt me. Inspire me to be as generous to others as I would like them to be with me. Madonna and Child, 15th Century Flemish oil on wood. The identity of the artist of this charming rendition of Mary feeding the baby Jesus has, unfortunately, been lost over time. Often you hear (or say) "cleanliness is next to godliness", but support for the proposition is mixed in the Bible and Christianity. Like so many attitudes, the saying is more an attempt to use the power of the Bible to support a personal bias than a real attempt to define our conduct by the Word of God. In short, "cleanliness is next to godliness" is something that should not be said, because it is an attempt to put our words in God's mouth. Early Christians, especially the very fervent, often took to the countryside and refused some form of personal hygiene or adornment. St. Francis of Assisi, for example, who was due to inherit considerable worldly goods, renounced all of it, including the clothing; he went barefoot. John the Baptist would have been kicked out of any restaurant in New York. The Bible is filled with instances where the holiest of men would eschew cleanliness. On the other hand, nothing in the Bible forbids bathing, or (in the New Testament) shaving, or any basic hygience. Christ and His disciples, we know, washed their feet at the end of the day. We have just seen that Exodus prescribed certain ritual handwashing for priests, and that God required the Hebrews to bathe and launder their clothes before giving them the Ten Commandments. But all in all, when one looks to the Bible instead of one's prejudices for guidance, there is nothing that equates personal hygiene with spiritual growth. Like our occupation or politics, it is a matter of the world and has nothing to do with godliness. And using the Bible to further our personal agenda leads us away from Christ, not towards Him. here does come a point where concern with personal adornment becomes an area of sinfulness, and one rarely hears it discussed. Vanity is a powerful urge, the servant of mighty Pride, king of the deadly sins. The fashion industry is a testament to the power of vanity; even worse, its adherents are ludicrously convinced of its importance. Cosmetic surgery has become a flourishing business. It is hard to resist. Even if you personally don't have a great problem with appearances, living in a culture where the importance of fashion and appearance goes uncontrolled presents a powerful force to comply. The Amish will tell a woman, by way of compliment, "you look very plain today"; they take a lack of personal vanity as a sign of devotion, and the culture supports minimalizing pride in appearance in favor of pursuing rewards of the Spirit. It is often hard to grasp how non-Christian society is, even in "Christian" countries. In the matter of dress and appearance, even sincere Christians will make compromises and rationalize conduct and beliefs that damage their faith. This is not to say we may not dress nicely or buy a new car. It is to say, rather, that this is a good area of meditation and prayer. When we feel called to examine our sins or to make a decision about buying something, we need to examine our conduct and attitudes about spending time and money to glorify our own pride.